Admission is $1 at the door. Bring a non-perishable food item to donate to our local food pantry and admission is FREE! 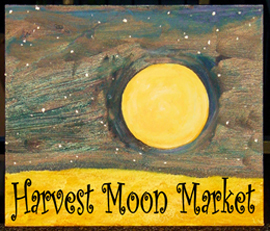 The annual Harvest Moon Market is a unique marketplace for local artists, vendors, crafters, and shoppers.